Keighley (pronounced Keithley) is a bustling town located in Bronte Country, due to its close proximity to Haworth, the village once home to the Brontes. East Riddlesden Hall is a fine example of a 17th century manor house, the property has stunning gardens, tea room and a varied programme of events. 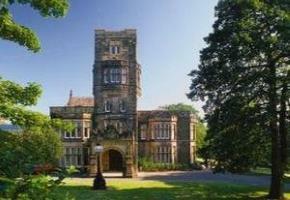 Another fine country house to visit is Cliffe Castle, originally the spectacular mansion of the local Victorian millionaire and textile manufacturer, H I Butterfield. The house is now a large museum with a wide variety of displays. These include an array of glittering minerals, mounted birds and animals, original furnished rooms with chandeliers, William Morris stained glass and a programme of temporary exhibitions. Due to the importance of the railway in the area and the building of the Keighley Worth Valley Railway in 1867, the town has a great railway heritage. This can be experienced at the unique Rail Story at Ingrow West. Nearby is the picturesque village of Haworth, once home to the famous authors, the Brontes. You can reach the village of Haworth by taking a ride on the Keighley & Worth Valley Railway. This heritage railway passes through Haworth and terminates at Oxenhope. The railway featured the film The Railway Children.